Why is Business Maintenance Important? 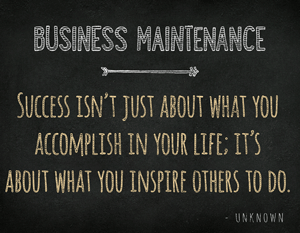 Business maintenance is vital for the long-term health and success of a business. Our Chicago corporate lawyers believe in acting proactively and preparing for the future, rather than dealing retroactively with issues that may be too late to resolve. Our Chicago corporate lawyers counsel clients to make strategic decisions that will ultimately benefit and protect their businesses. Even after a business is established, it is critical to maintain the business’s records, legal interests, ownership interests, documents relating to business transactions, and other important business agreements. For example, in the event of a business merger or business acquisition, the potential purchase will conduct its due diligence and want to see the history of the business, its business transactions and how it operated historically. Our business law firm understands that long term success and prosperity involves continual business maintenance, planning, and anticipating for the future and what it may bring.